Pic posted on Twitter by Cellomonkey here. A couple of guys were in the CLSA audience during Sarah Palin's speech and twittered the event. Their accounts are here and here. The second guy is also a speaker at the event. CC: Kind ironic. Sarah Palin will talk foreign policy (wed keynote) and I'll speak about lack of US policy during Katrina (thurs keynote). CC: Checking keynotes sched for this event in HK. I'm firmly in between Sarah Palin and Sheryl Crow. A sentence I never thought I'd ever write. CM: Think sarah palin will wink at me tomorrow? CC: So far six outlets want me to speak on camera right after the Palin talk today. Silly politirazzi. 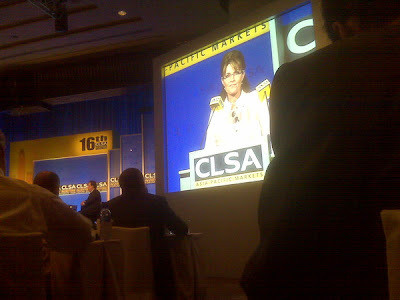 CM: Anticipation building as palin prepares to speak at clsa forum in hk. CM: Sarah palin pretty in pink today. CM: Palin ties her lineage to asia by saying todd is part eskimo. CC: Stimulus failed will keep unemployment high - Palin. 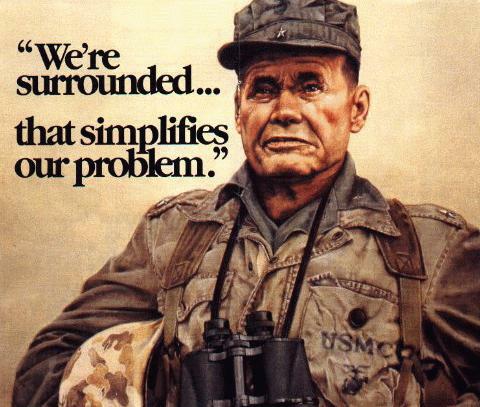 CC: Palin calls self common sence consertative - quotes Reagan and Thatcher as 'getting it right'. CM: She takes a stab at policy speak since she's from main street. CC: Palin suggests her cost cutting in the Governors house shows her fiscal conservative. CM: Palin pushing "common sense conservatism - a respect for history and tradition and common sense." CM: Palin: "mccain and i came in second in a competition of two!" shes funny. CC: Palin suggests GOP has sold out since Reagan and are as bad as the liberals. They lost principles. CM: Palin preparing for 2012 bid by evoking reagan, lauds hkg as model for free mkt economy. CC: Cap and tax (trade) will cause unemployment. Say it will cost $1800 per Americans and cause no change. CM: Palin seemingly campaigning but i wonder how many of us are actually us citizens. CM: 30 minutes in, im not sure palin has said the word "china"
CC: Palin pro Nuclear and energy independance advocate. Tap the god given resources of America and not foreign entities. CM: The guy next to me is reading a macro strategy report. CC: Palin listing all deaths caused by twisted vision of terrorists. 'this is a war' - Palin suggesting the surge pushed the war out of Iraq. CC: Palin says Pelosi and liberals stopping Obama from making right decision to increase troops in afghanistan. CM: Palin critizes cutting of defense budget while china and russia are beefing up. CM: Palin attributes asian economic prosperity to american commitment to security in the region. CC: American military precense in Asia has allowed it to prosper - palin. CC: Folks walking out on palin as she's running over Q&A time. CM: Palin hopes to integrate india into asia... hrm. CC: We can help intergrate Asia and India -Palin. CC: Palin says China key to global push out of recession. China needs to be responsible stakeholder. (and free). CM: Palin warns against rise of a one-nation asia, citing missles pointed at taiwan. CM: Palin: "it is in the interest of our safety for china to work out its contradictions"
CM: Wow, palin is lashing out against china "we hope for china to rise responsibly"
CC: Palin - notes Charter 08. Anyone! CC: Last 20 min of Palins talk on china us relationships and free trade. Current US gov are anti-open and anti-growth -palin. CC: Palin says us must recognize we must lead by example not words. Americans are suffering and frustrated dems exempt themselves from hlthcare. CC: Palin says tea party movement are democrats and republicans and fighting the good fight. CC: Palin notes bush changed view on china - notes we are interconnected and need to put diplomatic pressure on china. Says taxing tires was bad. CC: Local elected officials need to be heard. GOP will be re borne through locals - palin. 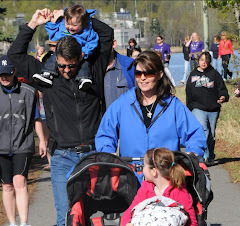 CC: Government need to stay the heck out of salary decisions - palin. CC: Palin - Chavez is Castro lite. We need to play hardball with Cuba. CM: Palin says "i have a husband, yea, i think i coulda used a wife" on being asked "how do you do it"
CC: Palin on Twitter - I love it! CM: Zuckerberg gets props from palin for embodying american ingenuity. CC: Palin - facebook is a success story of US ingenuity. Shows 'we still got it'. CC: Palin shows picture of son on stage. Then exits. CC: Dear @CNN your reporter is the only one trying the sweet tactic to get a quote. Not working either. CC: Hey ms Palin, I'll let you tweet my keynote tomorrow lunch. I'm talking on Katrina and school reform through public/private partnerships. CC: @cellomonkey my pics sucked. My keynote tomorrow will have 180 more slides than Palin. CC: @Tx4Obama no problem didn't realize I was one of only two tweeting. Had to find alt. Network to send. CC: ok speech with occational hits. Interesting Palin attacked GOP more than Dems. Catherine Yu Yeun Chen: I have really great news, a friend who attended the Forum where Mrs Palin made the Keynote Speech at the CLSA Investor's Forum, just while ago, said: Sarah Palin was received with the biggest round of applause it took 3 minutes at least before she was able to start her Speech and that the Speech itself was brilliant and astute and that she took China to task aggressivaly but without been offensive or rude, and she answered many questions brilliantly and smartly after the speech itself, and she was looking beautiful and relaxed and again received a standing applause, but my friend can not tell me anything about the speech-address, it is CLSA rules, and it is up to Sarah and the Organizers to decide whether the speech will be available for public reading. UPDATE: CC (Cameron Sinclair) wrote an article for the Huffington Post about the speech here. Apparently he got his Fed tweet wrong. UPDATE II: AP pics here. Nice job! Uffda. 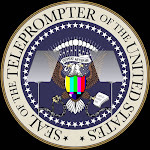 Helped me put highlights of the speech in a better perspective. Thanks guys. And LLORT3, you are my first troll. I will treasure you always. I shall call you squishy. You will be mine and you will be my squishy. Dawn, I left a comment on your blog. Sarah the Brave. Not only did she give a great speech, but she called China out on human rights, etc., while having 1000 Chinese missiles pointed at her. Your first troll. Kind of like your first zit: Not a good thing, but at least you know your growing.